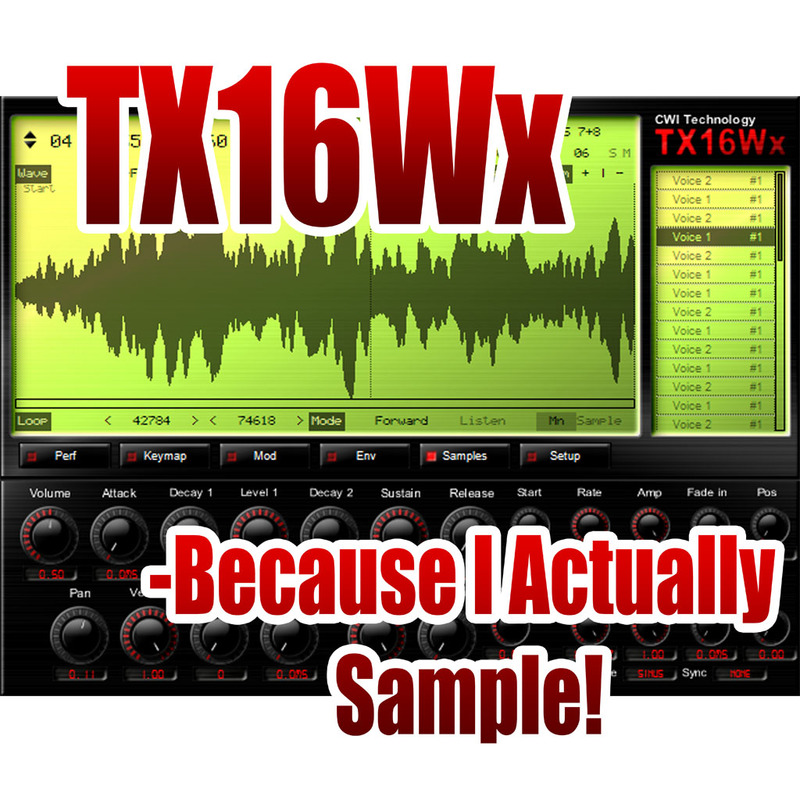 TX16Wx Software Sampler: Get your TX16Wx T-shirt now! 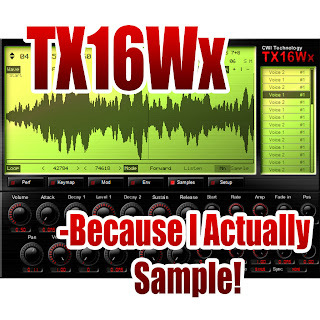 Now you can not only create music with TX16Wx. You can wear it to the gigs (or school, work, clubs or whatnot). 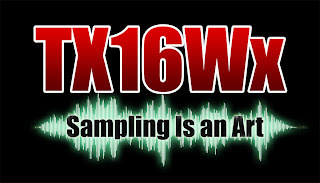 Show your support for TX16Wx and CWi Tech by buying one (or many!) of the excellent designs now available at the CWi Technology Apparel Store. 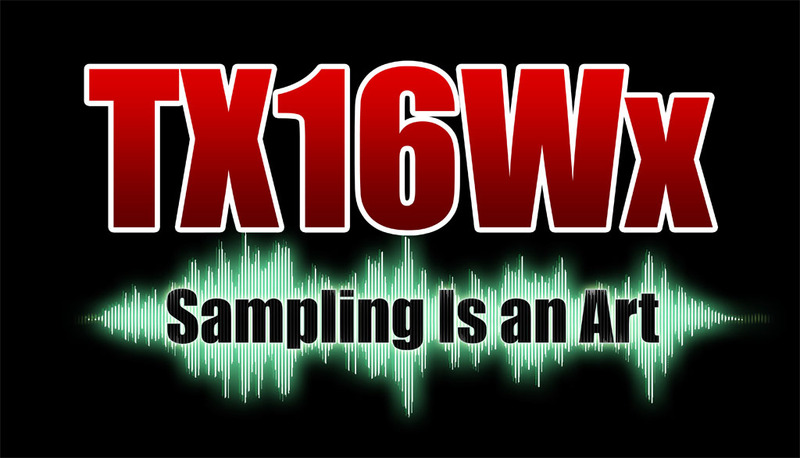 And remember: all proceeds go towards more sampler goodness in the universe. Hi! I'm not sure if this is the right place to ask this (I was looking for a mail address, but couldn't find any) - do you think it's possible that in future updates you will add an option on how the re-sampling will be done? From the way it sounds, I'm guessing you're using linear interpolation. Could you maybe add another way, and let the user decide (e.g. 64-point sinc)? I might put it in, yes. The bad part about stuff like that is that it will add some cost even for when you are playing in simple interpolation mode (code path things), but I doubt its a big issue. But for playing stuff outside comfort zones I can probably agree that it might be useful.